The best way to keep a staff stimulated and also impress visitors is keeping them cool in the summer season and warm in the winter. There’s nothing worse than suffering in a hot and sweaty workplace! There are several things that you should take into consideration when installing air conditioners in an workplace. It’s important to set up a thing that guarantees that an excellent air flow will be in every room. Less experienced installers entirely don’t keep in mind the form and layout of the office to be cooled. This can result in the situation that some parts of the workspace receiving a much heavier air flow than others. It isn’t always uncommon to find that 1/2 an workplace is just too cold while the other half is simply too warm with a poorly designed Air Conditioning system. This may result in many ‘office temperature disagreements’ (OTDs). Our specialists know well that all offices are exceptional, and we constantly make sure that we design and set up the Air Conditioning system to fit your own necessities, guaranteeing that each employee and site visitor feels comfortable. 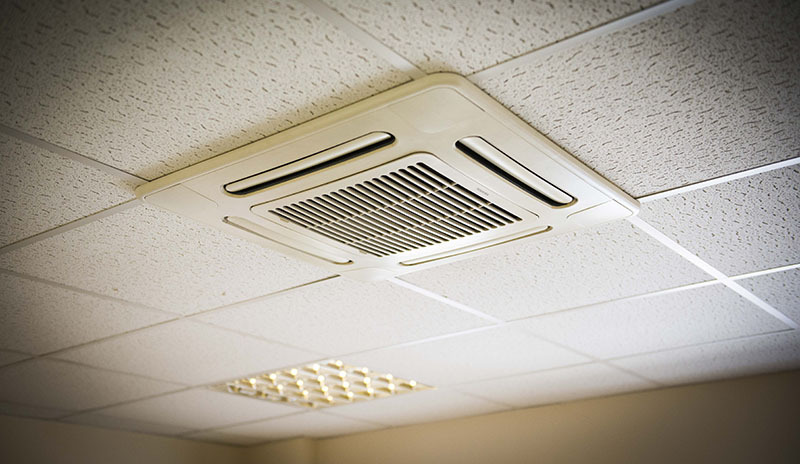 They are the most common air con units used in offices. They’re the most cost-effective choice and smooth to retrofit into workplaces without the need for redecoration. Wall-mounted units are thin, long and located at a high level on the wall. A single unit might be best for cooling a 1-6 person workplace and for large workplace spaces you’ll require more than one wall units strategically positioned so the complete room enjoys the full advantage of the air flow. Properly selected air conditioners are nearly silent permitting staff to work in both peace and comfort. They are very popular in offices nowadays. Though, they may be slightly more high-priced than wall units. Ceiling ‘cassettes’ are almost absolutely hidden inside a suspended ceiling therefore they are more discreet and aesthetically desirable. Almost-flush facial panel is the only visible part. In addition they have the benefit of offering four-way airflow so they’re ideal for big offices where multiple areas must receive balanced cooling. 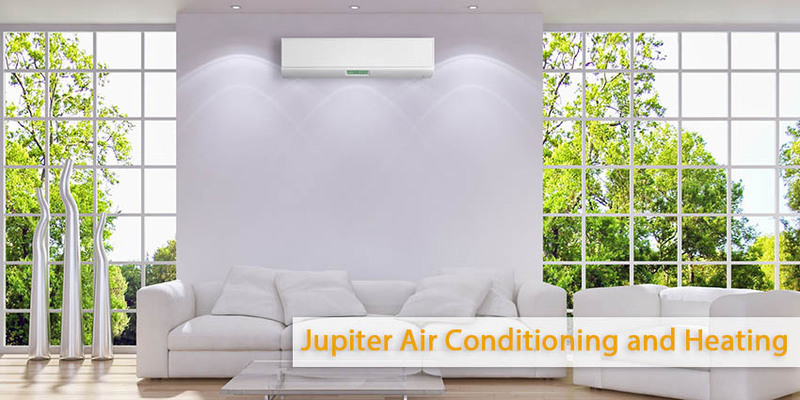 The specialists from Jupiter Air Conditioning And Heating have the experience on installation of those kinds of AC Systems so that you will have the atmosphere you need. In case you don’t have ‘false ceiling’ then it’s better not to use a wall-mounted system. They are another popular decision for offices. In general they’re the most high-priced option. However, they’re the most aesthetically pleasing as the duct-work and all the internal units are hidden within a suspended ceiling. All you can see is small grilles. When you choose ducted air conditioner for your office, remember that it’s best undertaken as a part of a building project. However, when you have a suspended ceiling then it can be easier retrofitted without tremendous disturbance. There are a number of distinctive grille styles and if you turn to Jupiter Air Conditioning and Heating our surveyors will advise you of the most appropriate options.